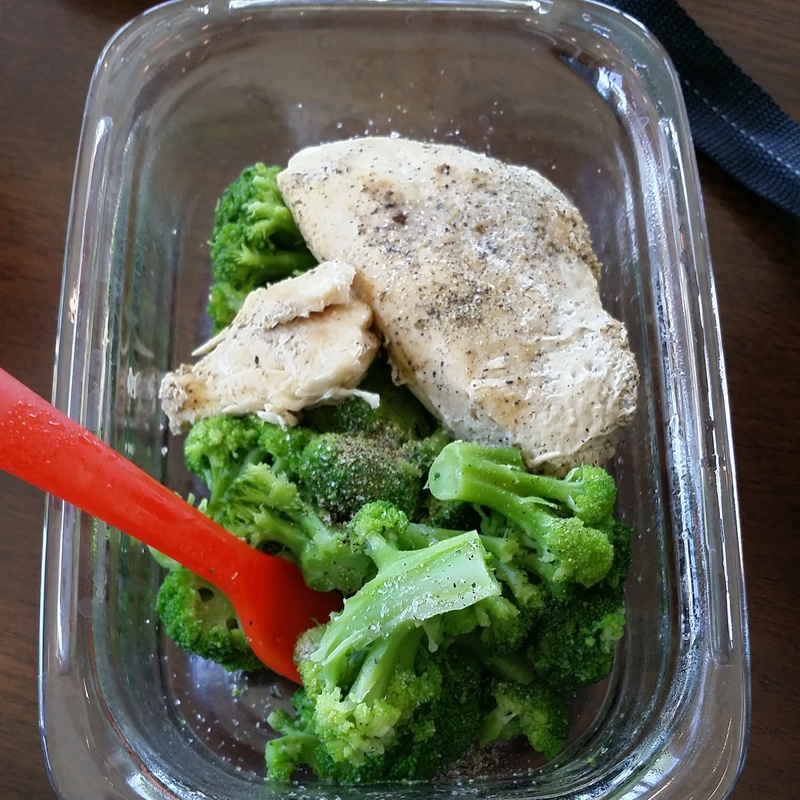 My usual choices lately have been the standard chicken/broccoli, chicken/brown rice or chicken/sweet potatos. Not a big fish fan. 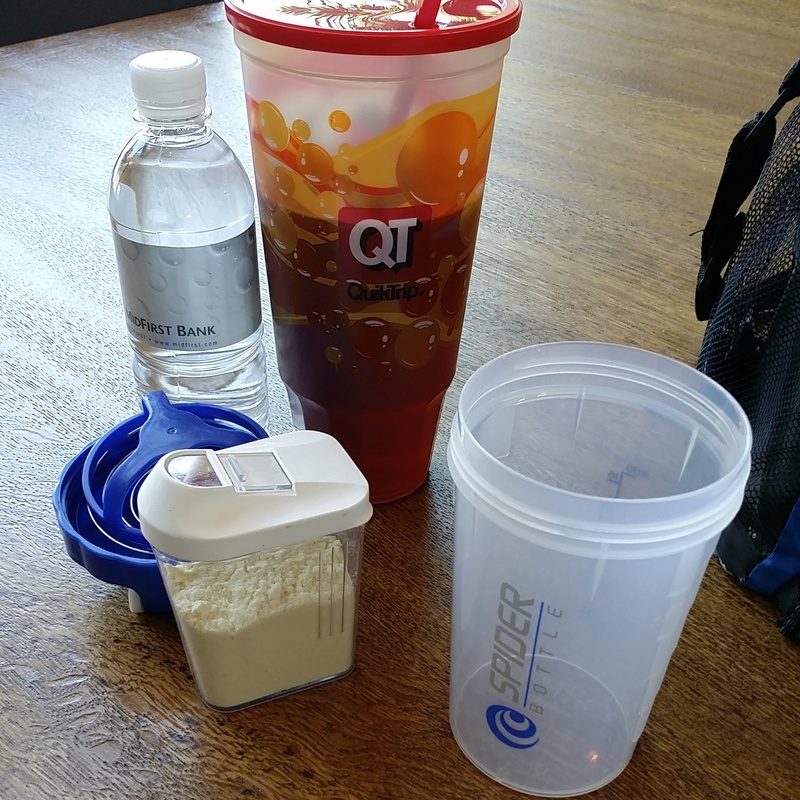 With time constraints, sometimes its just a protein shake and some unsweetened tea.